Today we welcome Ric Swift, the Managing Director of the UK Wildlife Film School. 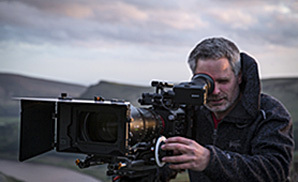 Ric is an accomplished freelance cameraman, as well as a member of the Guild of Television Cameramen (GTC) and the International Association of Wildlife Film-makers (IAWF). Tell us a little about yourself and the UK Wildlife Film School? Coming from 12 years of military background, including serving with UK Special Forces, operating as a photographer / video cameraman as part of a covert surveillance unit; I spent most of my time out in the field and a lot of that time sitting in hedgerows or other camouflaged locations in all types environment watching and filming subjects at a distance… many years of perfect practice for when it comes to filming wildlife. 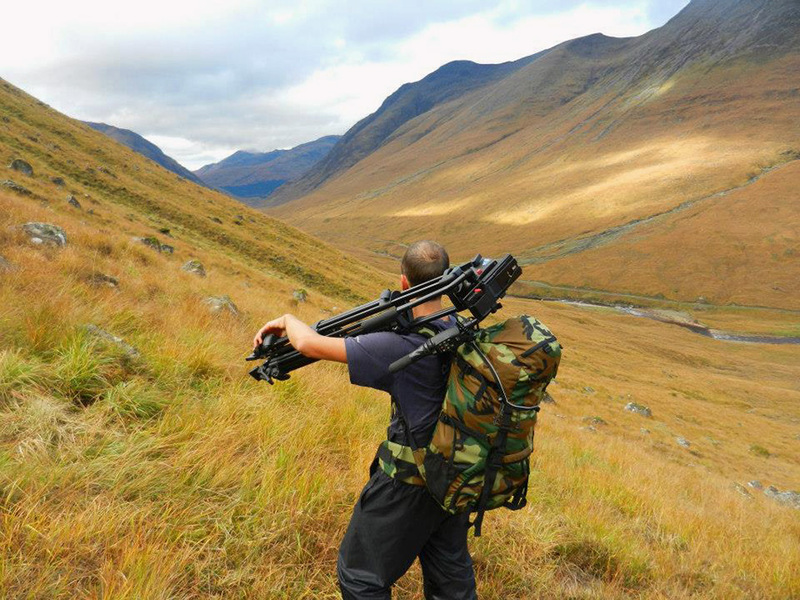 The UK Wildlife Film School has now been running for 8 years, and today is one of the most comprehensive wildlife film schools in the world, certainly in terms of hands-on practical experience. 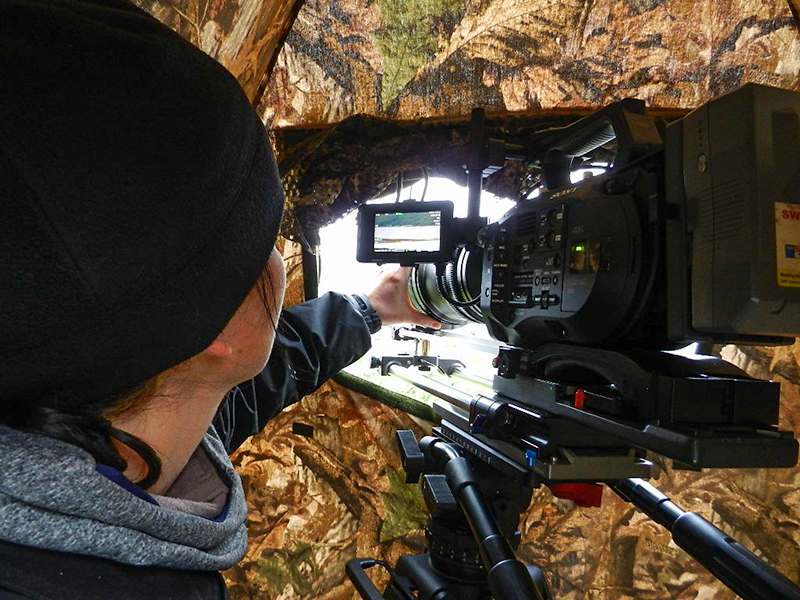 We give you the opportunity to learn and experience first-hand what is required to work and live filming in the wild, using the latest professional Sony 4K cameras and Apple 4K editing suite/system, whilst operating out of a tented base-camp in remote locations. Sound is extremely important in film making, pictures without sound lack something and they don’t look right or feel right when you watch them. 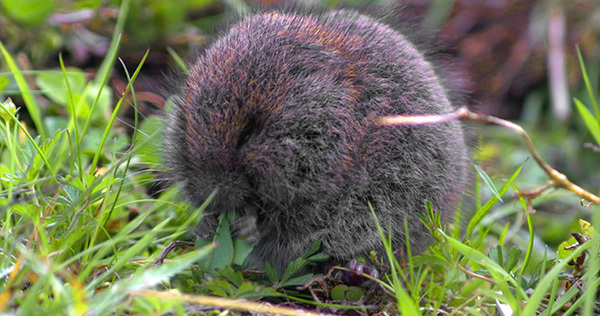 For you and the UK Wildlife Film School, what is the importance of ‘sound’ in filmmaking? Sound is extremely important in film making, pictures without sound lack something and they don’t look right or feel right when you watch them. Sadly, a lot of students that attend a course with us are only initially interested in operating the camera, so don’t give the sound much thought. Only when you show them the rushes in silence and then again with some audio, do they appreciate just how important sound is. How is the recording of sound included in the courses that you run with the School? 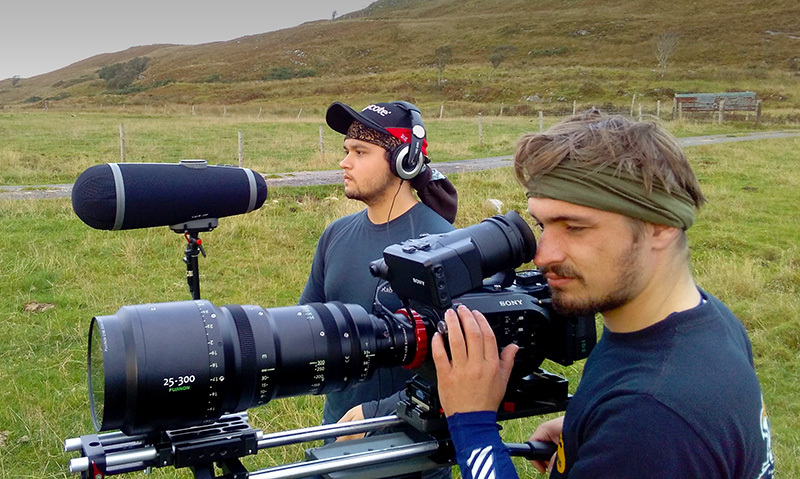 If we are filming stags (like we were on The Isle Jura with Henry and Lukas in October) we record the sound using the Rycote Cyclone and a Sennheiser microphone running directly into our camera, this helps in the edit with such things as lip-sync. The extra atmosphere that is added to the end film by doing this is phenomenal, approximately 80% of a stag rut is audio, bellowing from one stage to another, if you were to not record this, you would me missing a large chunk of the atmospherics and action from your final film. For the people who attend your course, what do they expect to gain from the whole experience? Experience – that’s ‘hands-on, practical experience’ and the ability to go away from the course with the knowledge that if someone asks them to do something, they will be able to do it to a higher standard than they could before they attended the course. Real Wildlife – All the students on our courses will be filming ‘real wildlife’ as apposed to captive animals kept in a pen, cage or observation tank in a studio. Real Skills – During our courses our student all learn real skills, we don’t just teach, we allow them ‘full hands-on learning’ where they can go away from a course having undertaken the production tasks required to produce a film out in the field, themselves. Real Experience – This is what really counts – you can learn as much as you like sitting in a classroom, but until you have gained some ‘actual physical experience’ out on location in the wild, it’s all just theoretical. When you are ‘out in the field’ recording wildlife, what kinds of sounds have the students captured? Audio recorded directly from an animal (such as the bellowing of a stag) or ambient sounds such as birds, wind through the trees or the grass blowing on a hillside. You can’t really film footage of the sea breaking on the shore without the audio, and if you try to add audio recorded at a different time or from a different location it just simply doesn’t work as it is out of sync. Also there’s the voiceover. Out on location you are not sat in a warm wind-proof acoustic studio, we have to make a shelter from the wind (often using a dome hide) and record good clean audio, we use a Rycote Cyclone and a Sennheiser mic running directly into the rear of our camera to get the best results for the final film. If we are sending part of the group off to capture ambient sound separately; we may use the Rycote Softie or the Super-Shield Kit if it is particularly windy and record audio directly to a Roland R-26 field recorder. The locations where you run the courses are all very ‘wild’ and ‘rugged’ in themselves, does this pose any particular issues? And what about any issues for capturing good, usable sound? There is always a lot of equipment to carry. One of the major things we have noticed over the years is how the students don’t necessarily think of this before attending a course. We’re not in a studio or on a film set where everything comes out of the back of a van a few yards from where we are filming. We have to carry everything on foot to the filming location ourselves. The main audio challenge is the wind, even on a still day you need to monitor your wind noise correctly, getting back to the edit and discovering you can’t use the audio recording because there is excessive wind noise, or someone moving in the background can be a little more than frustrating! But saying that, this is all part of the learning curve for the students and the quality of their audio recording always improves over the length of a course. We use three Rycote windshields with our students to help them capture clean audio; the Cyclone works wonderfully, the Super-Shield is a very good traditional piece of kit, and a Windjammer for the Roland R-26 field recorder. How do the students handle the weather conditions up in the Scottish isles? It’s not always wet and windy; in fact we quite often hit spots of good weather. 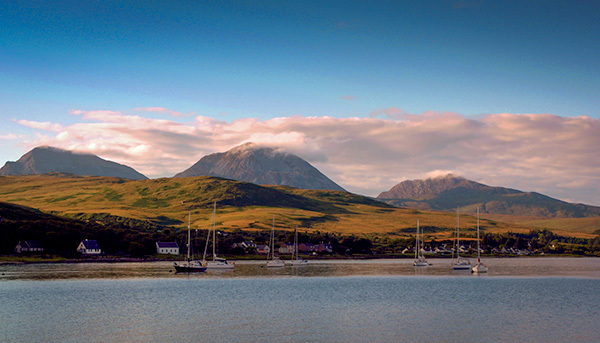 For example whilst filming on Jura this October, it didn’t rain once during the day, the sun shone brightly in the sky and the seas were often flat and several times mirror flat. 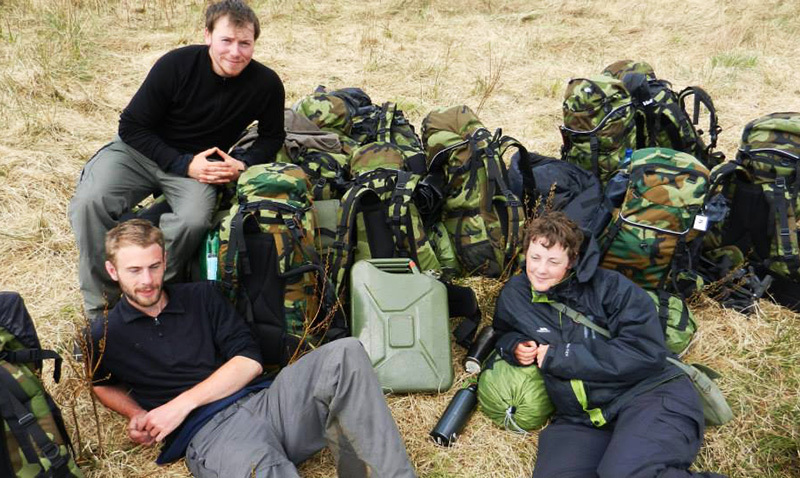 And again several years ago when filming on Skye it was over 30°C for 2 out of our 4 weeks (the hottest place in Europe at the time), here we suffered from the effects of working and carrying kit in the heat. If I showed you a few of the photos I took you wouldn’t believe it was Scotland! When making choices specifically related to of the recording of audio, we chose Rycote wind-noise suppression equipment. Naturally this works in reference to wind noise, but also in reference to rain penetration etc. Does the film-making ‘kit’ need to be especially durable? Yes, very. You can save money on buying cheap equipment, but in the long run it won’t last and very often lets you down just at that important moment you need it, or out in the middle of nowhere where you can have difficulty fixing it. When filming wildlife, the durability of the equipment should always be on your shortlist of serious considerations. We try to use weather-sealed equipment as much as we can. However, it is not possible to weather seal all equipment due to the very nature of its construction. When making choices specifically related to of the recording of audio, we chose Rycote wind-noise suppression equipment. Naturally this works in reference to wind noise, but also in reference to rain penetration etc. If we were to recommend any Rycote equipment for use in extreme weather it would have to be their new Cyclone system (or at the very least a ‘Super-Shield’ modular windshield) by their very design they naturally slow rain penetration and stop the microphone becoming wet. In addition to this you can also add a ‘Duck Raincover’ to your windshield. This is a highly specialised piece of equipment developed by Rycote for the precise dispersion of rain penetration and rain noise. We sat on a log in the middle of the wood and listened intently through the pin-sharp silence. We sat for some time before we heard a stag walking through the trees towards us. The hair stood up on the back of my neck as it’s stopped and stood just a few feet in front of us. Even though it was 99% pitch black, you could still see a very vague outline in the dark. Suddenly, it bellowed… extremely loudly! What is the most memorable or outstanding moments you have encountered in your time making wildlife films? 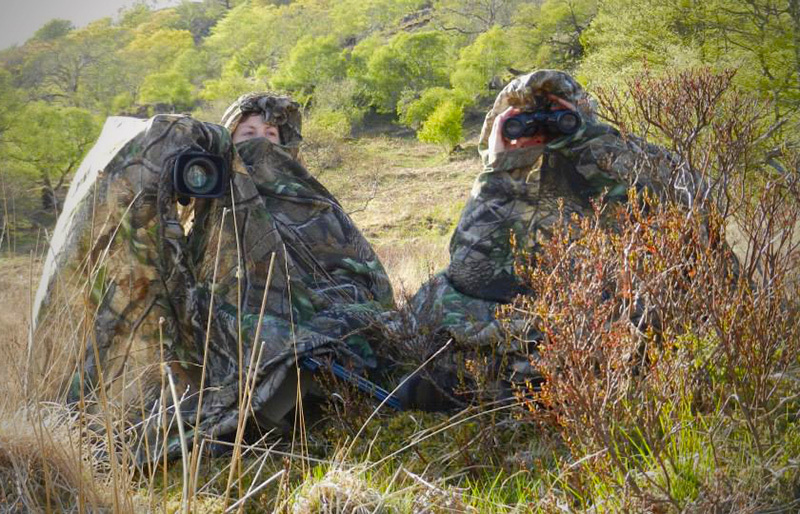 One night on a course filming rutting on Arran, we heard the stags ‘bellowing’ close to us in the woodland we were camped next to. We decided to take our audio equipment into the wood to record this. Suddenly, it bellowed… extremely loudly! 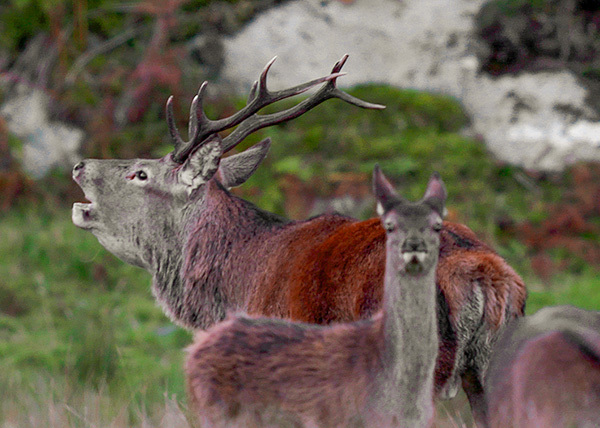 The digital levels on our field recorder went off the scale, and even with the fact that we made some noise due to the surprise, it didn’t spook the stag at all and it just stood there. We were able to record everything, its breathing, his hooves moving gently on the ground. It was a truly wonderful moment. Another time we were walking down the bottom of a river gorge looking for small mammals and fish to film, when less than 10 feet above our heads flew a mature golden eagle. The eagle was flying down the length of the river, close to the edge of the top of the gorge, cutting across the top of the re-entrants to get a closer look at the feeding opportunities below. The eagle flew so low that as I looked up at it, I could see the pupil of his eye turn down to look at us as he glided overhead in complete and utter silence. Truly fantastic. The whole experience lasted for less than 10 seconds, but the memory of the experience will last a lifetime. Several years ago we were sitting on Eilean Ban, just off the Isle of Skye waiting patiently for some otters to show up so we could film them for an essential part of our films final script, when an otter appeared from in between the rocks less than 10 meters away. Thank you very much for your time, it was a pleasure talking to you!